October 20, 2014 --- A unique lightweight explosion-proof shelter for a portal-style scraper reclaimer is being built by outdoor enclosure specialist Intertec for a new fertilizer plant in Africa. The fertilizer plant is being constructed in Port Harcourt, Nigeria. Due to be completed at the end of 2015, it will be the world’s largest single-stream gas-to-urea plant – with an output of 4000 tonnes per day of granulated urea – and is set to transform Nigeria from a major importer to a key exporter of fertilizer. The project calls for a large bulk buffer store of granulated urea to be held in a new warehouse downstream of the production plant, in readiness for overseas shipment and distribution to the domestic market. Over 300 metres long, the warehouse will be equipped with a large portal scraper reclaimer supplied by the Indian subsidiary of Tenova TAKRAF, the leading German manufacturer of specialist surface mining and bulk materials handling equipment. 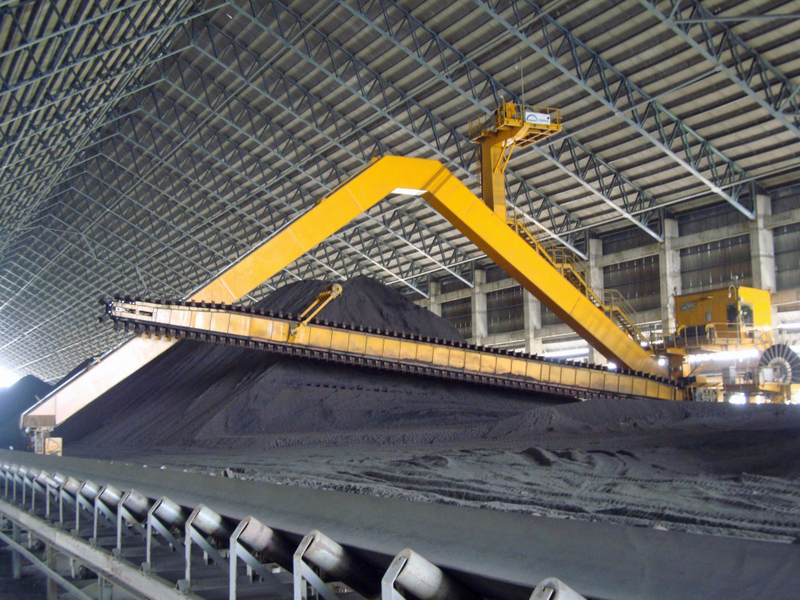 The portal scraper reclaimer is a completely self-contained mobile bulk materials handling system that can move along the entire length of the product storage area, transferring the granulated urea onto an outgoing conveyor belt that also runs the length of the warehouse. The dust that is created by moving the urea during routine storage and reclamation is combustible and can form an explosive mix with air, which means that all electrical equipment in the warehouse must either be explosion proof in its own right, or contained within an explosion proof environment. For the portal reclaimer, Tenova sought a solution that would protect the machine’s operator and all its electrical control equipment by creating a tightly sealed environment that is maintained slightly above atmospheric pressure to prevent the ingress of dust. Tenova approached Intertec because its Indian subsidiary was experiencing difficulty sourcing an air-tight shelter that met the necessary safety and performance standards. Clean, dust-free air for the shelter is supplied by a compressor and filter unit located outside the warehouse, which is fed to a point midway along the portal reclaimer’s path of travel and then via a 150 metre long flexible hose to the shelter’s air inlet port. Tenova’s initial design calculations indicated that to overcome leakage from the shelter and pressure loss in the hose, a conventional structure would require an air supply pressure of 8 bar with a flow rate of 845 Nm3/h (normal cubic metres per hour), necessitating use of a large compressor that would incur high operating costs. According to Rohit Nath, Manager of Intertec’s Indian facility, “By using high performance materials and a novel air saving design, we have created an explosion proof shelter that provides a safe and healthy working environment, without requiring high volumes of compressed air.” Intertec’s shelter design essentially comprises three physically separate but conjoined areas; a large 6.5 x 2.6 metre room containing all the electrical switchgear and control electronics for the portal reclaimer, an operator control cabin with high visibility windows, and an inter-joining section that acts as an airlock chamber. Both the control cabin and the equipment room are also equipped with large outward-opening emergency exit doors. In normal use, personnel enter and exit the control cabin and the main equipment room via the airlock area; interlocks allow only one airlock door to be opened at a time, to minimise air loss and help maintain pressurisation. The walls, ceilings and floors of the shelter’s three areas are constructed from single-piece panels of Intertec’s proprietary high performance GRP (glass reinforced polyester) triple-layer composite material. In this case, the composite material has 4 mm thick inner and outer walls of GRP, enclosing an insulating 77 mm thick polyurethane foam core. GRP has a similar strength to stainless steel but is about 75 percent lighter, which is a key attribute for this application where the machine’s bearing system supports the entire weight of the shelter as well the portal gantry itself. The overall weight of the shelter, including all its air conditioning systems, is approximately 4,900 kg. Two large split air conditioning units on the end wall of the equipment room provide cooling for the portal reclaimer’s electronic and electrical control systems. The heat exchangers of these ductless units are physically separate and mounted either side of the shelter’s wall – the only through-wall connections are the refrigerant pipes, contained within airtight sealing glands. Two conventional ceiling mounted air conditioners in the equipment room further process the air before it is ducted to the control cabin. This two-stage approach is very efficient, allowing zoning of air temperature to suit operating personnel and equipment. This is the largest pressurized shelter that Intertec has manufactured to date. 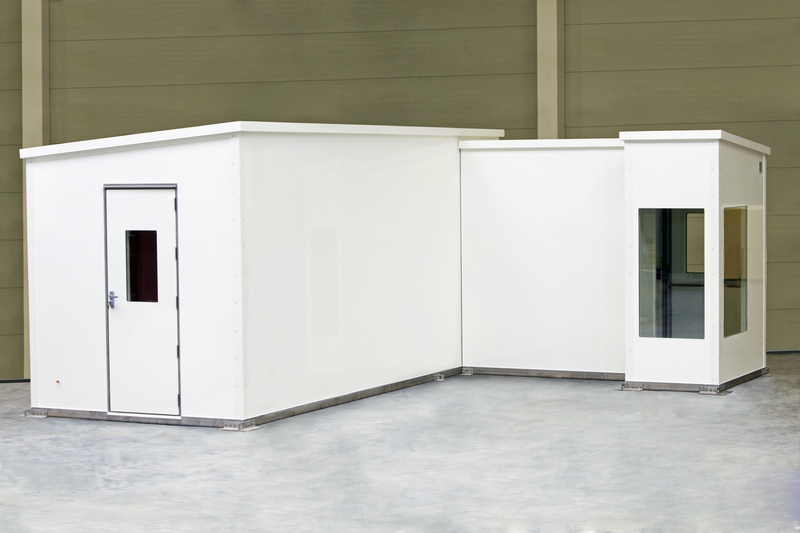 As Intertec’s CEO, Martin Hess, explains, “There is a growing industry awareness that with the right materials, lightweight walk-in type fire resistant and explosion proof shelters are now a practical possibility. Our ability to produce GRP composite panels in single-pieces up to 12 metres long, allied with our expertise in all types of protective enclosure design, gives us a competitive edge in these emerging applications.” Many industrial processes involve potentially hazardous atmospheres where the mix of combustible gas or dust with air can present an explosion hazard. Aside from oil refineries, chemical and petrochemical plants, these include industries as diverse as food processing, bulk grain and flour storage, wood or plastics working, spray painting, mining and quarrying. The technology that Intertec has developed for lightweight pressurised explosion proof (Ex p) enclosures is likely to be of particular interest to designers of ships, and oil and gas platforms. For marine and offshore applications, issues such as corrosion, condensation and high long term maintenance costs are causing a move away from conventional steel solutions, towards GRP enclosures. At the same time, the reduced weight of instrumentation and protective housings helps to reduce costs and simplify installation. Intertec’s GRP composites are lightweight, resistant to corrosive atmospheric pollutants such as sulphuric acid and salt, and virtually maintenance-free. The company’s ability to make almost any size of Ex p enclosure from this material introduces a new level of design freedom. This large walk-in explosion-proof shelter from Intertec will form part of a mobile scraper reclaimer machine that is being built for a new fertilizer plant in Nigeria. Intertec’s explosion-proof shelter will form an integral part of a large mobile portal reclaimer machine similar to this, which Tenova TAKRAF is building for a new fertilizer plant in Nigeria.